I feel I'd be pretty confident in saying that my seasonal beer drinking habits are probably in line with most serious beer drinkers. 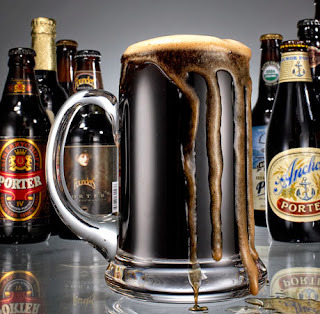 After a summer-full of lighter pilsners, lemon-and lime infused beers, wheat bears and other hot-weather styles, the shorter days and falling leaves lead me to darker, heavier, more full-flavored beers and ales. Not having to worry about sitting for hours in the hot sun, brown ales, smokey porters and rich stouts get added to the shopping list--along with pumpkin ales, spicy holiday brews and even some hoppier ales, depending on the activity and the menu choices. This is also the time of year I make more trips to the grocery myself, where I can usually put together a "build your own" 6-pack of individual beers I'd like to try (keeps me from making $10 "mistakes") and also grab an occasional 22oz bottle of something special. Most fall and winter weeknights, I'll enjoy a bottle or two while reading or watching TV; often checking the Twitter stream and surfing for beer-related news and commentary. I generally don't do in-depth beer reviews (there are enough of these already) but I will usually tweet a brief comment on what I'm tasting, some initial impressions and also--whether I might drink it again. So far, I've come across few beers I would describe as "bad." If I express any negative comments about a beer, it would be more likely that it's not particularly true to stye, or that I don't find it quite as "remarkable" as some other people do. In other cases, I mind not find a beer's taste so pleasing, but I am also willing to chalk that up to personal preference--especially where high IBUs are concerned. Weekends are a little different. I'm a big NFL and NCAA football fan, so that naturally pairs with beer-drinking. If I'm at the neighborhood sports bar--to which I can thankfully walk--I might settle in with a Yuengling (buck a bottle on Thursdays) and if I am home, a sessionable brown ale or dark lager. Regardless of how good the game might be, I wouldn't try to pound a lot of heavy, high ABV craft beers, and I don't think you would, either. It's early in this "dark season." My favorite so far has clearly been Samuel Smith's Organic Chocolate Stout, which was incredibly rich and dessert-like. In fact, I know I will be serving a small glass of this this along with dessert at some holiday dinner party. I found Breckenridge Brewery's Vanilla Porter to be quite good as well; very smooth and subtle. 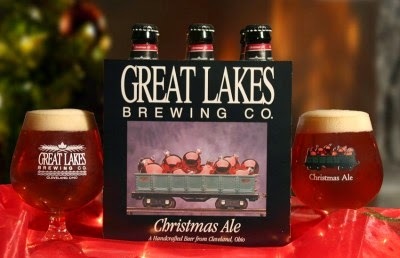 I have just started checking out Christmas ales as they are now coming out. 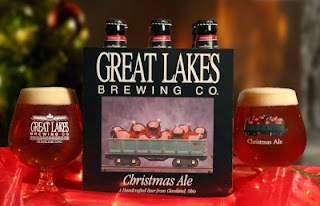 Locally, Akron's own Thirsty Dog puts out an excellent 12 Dogs of Christmas Ale, though I found Great Lakes Brewing Company's Christmas Ale to be just slightly smoother in terms of the spice combination. 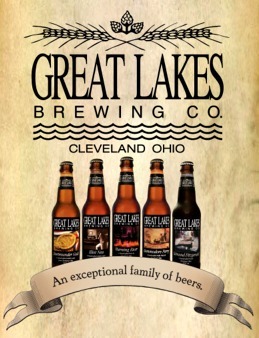 What that really boils down to is that I might drink two of one and three of the other at Christmas dinner. 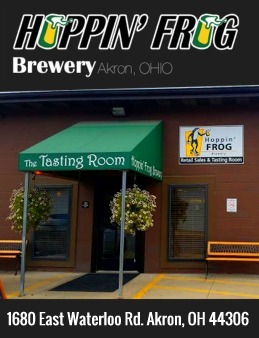 Happily, Hoppin' Frog Brewery is about a mile from my house, and it wouldn't be winter without a few of their Imperial Stouts, Porters and Scotch Ales. They've always been major belly-warmers; the perfect thing for a cold winter night in front of the fireplace, nodding off during an episode of Brew Dogs. Though I am not a particular fan of most IPAs, I am intrigued by some of the darker, so-called "black" IPA's I've seen, and am determined to give them a try some time soon. In fact, if you have any good suggestions, let me know. This time of year, the beers are lovely, dark and deep. But there are so damn many to drink.